Mina Malik, the executive director of the Civilian Complaint Review Board, the New York Police Department’s watchdog group stepped down late last year. No official reason was cited for resignation from the agency where she had spearheaded many initiatives, earning Mayor de Blasio’s compliments, but also drew flaks at times from others for different reasons. The New York Daily News which first reported of her Nov. 25 resignation said in a report quoting unidentified sources as saying that the underlying reason for her departure was a struggle with City Hall over control of the agency, but it added that the spokesmen for Malik and the mayor insisted that she left of her own accord. The report said that she was to take a teaching job at Harvard Law School and will advise the university’s Fair Punishment Project. CCRB Chair Maya Wiley echoed the mayor’s comments. “Mina spearheaded many initiatives that improved the Agency broadly, including improved investigations, increased targeted outreach, better data collection and report writing, and the CCRB’s new Data Transparency Initiative. On behalf of the Board, I want to thank Mina for her commitment and service to the people of the City of New York. We wish her the best in the future,” Wiley said. The report quoted two other sources as saying, however that Malik wore out her welcome by alienating employees and unfairly firing people. Several people filed complaints against her with the city Department of Investigation, the sources were quoted in the Daily News report as saying. 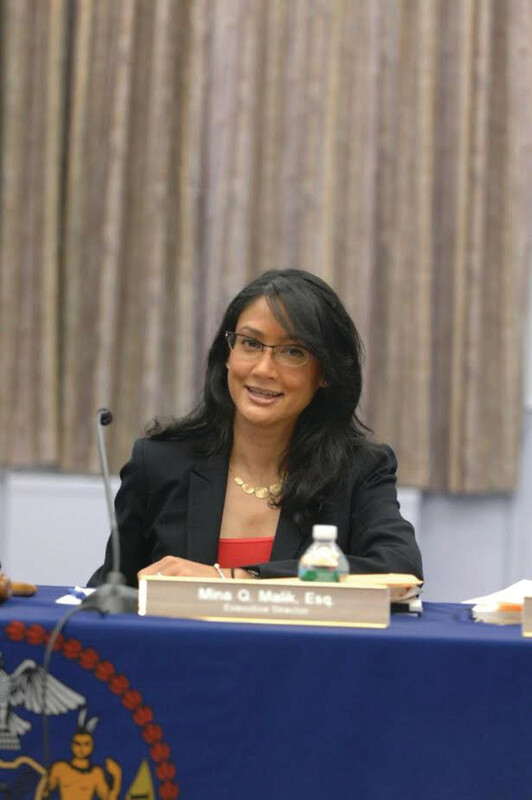 Appointed in early 2015, Malik’s tenure was largely overshadowed by her lawsuit against former board chairman Richard Emery. She accused him of using an expletive to describe her and a co-worker. The two sparred for months, with Malik trying to seize more power for herself, though her job required that she follows the board’s direction. Malik and a second CCRB official Robia Charles filed the lawsuit against Emery in April, for the remark he allegedly made six months earlier. Emery stepped down from the chairman’s post a day after the suit was filed. Malik thanked de Blasio “for taking swift and decisive action in responding to our concerns” and the suit was dropped.